The New Orleans dining scene is alive and well with numerous spots to get your NOLA culinary fix. We’ve rounded up several of our faves as we explored the French Quarter and downtown. 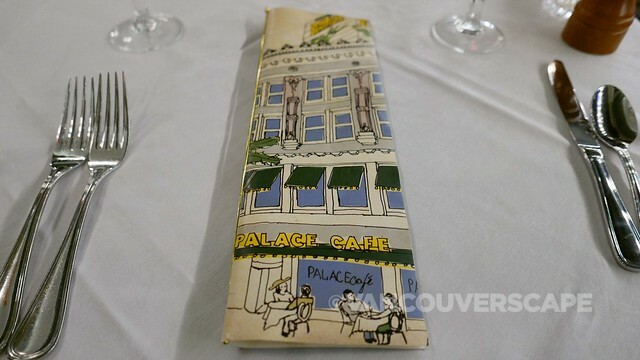 The atmospheric Palace Cafe is located right along Canal Street, a historic boundary that once divided the colonial-era (18th-century) city and the newer American Sector, today’s Central Business District. Each month, the Palace offers a rum cocktail of the month (December’s is Cool Rummings). 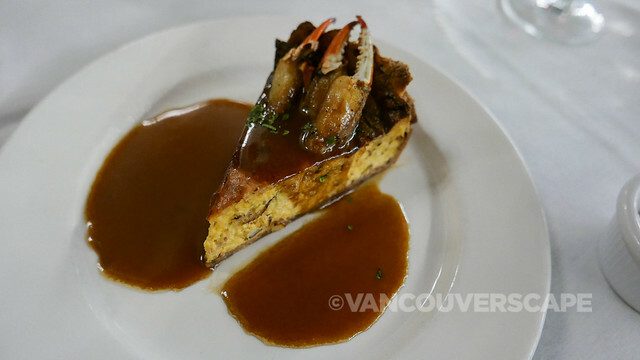 Don’t miss the signature dish here: Crabmeat Cheesecake. 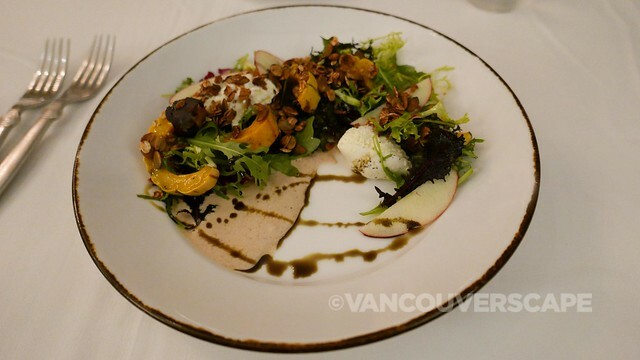 It’s a fabulous crab starter with a pecan crust served with Creole meunière sauce. 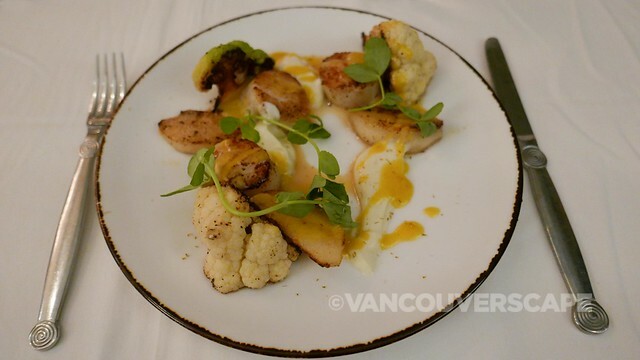 Their seared scallops with glazed baby carrots, rum pineapple gastrique and pineapple crisps are a solid follow-up to this fun and lively spot. 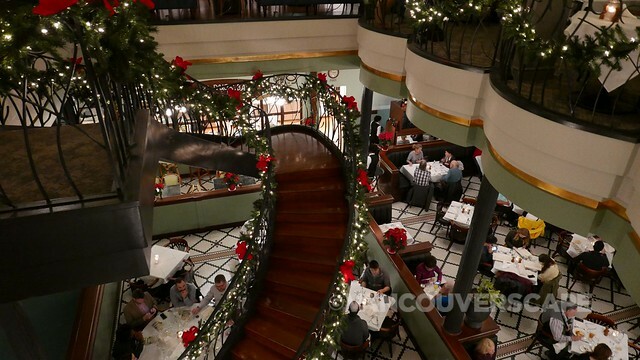 The Palace is the original of four establishments owned by Dickie Brennan (Dickie Brennan’s Steakhouse, Bourbon House and Dickie Brennan’s Tableau are the other three). 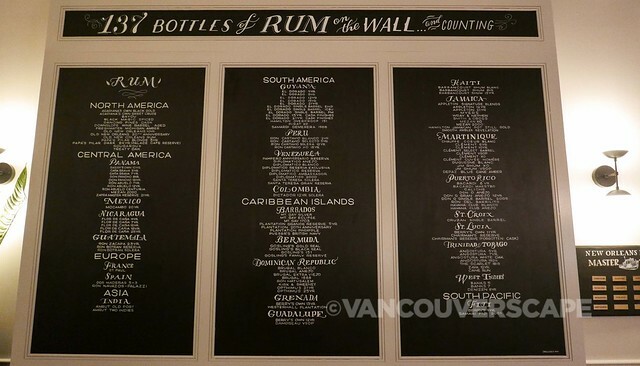 Rum fans should head upstairs and pull up a seat at the Black Dock Bar, where over 100 rums are on the menu at any given time. On the way out, enjoy a cup of frosty Bananas Froster in a to-go cup, as you can legally sip through the streets of the Big Easy. 605 Canal Street. Another beloved NOLA tradition is weekday brunch. Bertha Angaud and Emma Camors originally set up a notions shop called The Shop of the Two Sisters. The women were members of an aristocratic Creole family; the Court was later added to the title in honour of their societal status. The shop outfitted many of NOLA’s finest women with Mardi Gras costumes plus imported lace and perfumes from Paris. 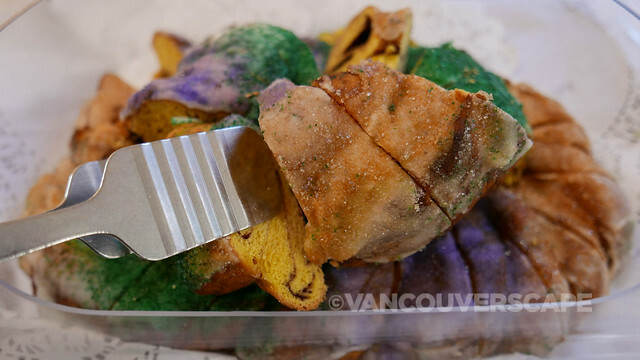 The King Cake has mysterious roots in pre-Medieval Europe. The person who finds the tiny doll hidden inside one of these cakes becomes the King and is responsible for hosting the next King Cake party. 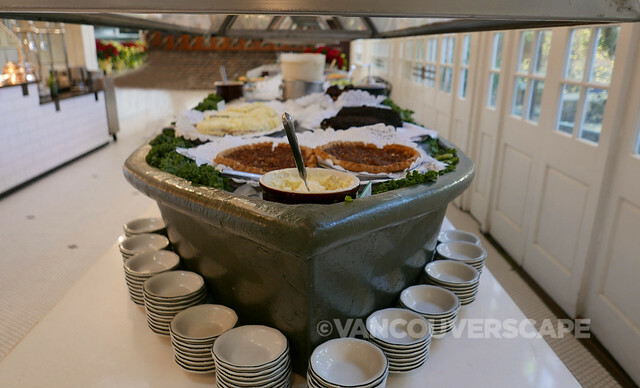 The Court of Two Sisters is a lovely spot for jazz brunch with a heritage room in back hosting live music so you can sit back and relax after feeding at the all-you-can eat buffet in the adjacent room. 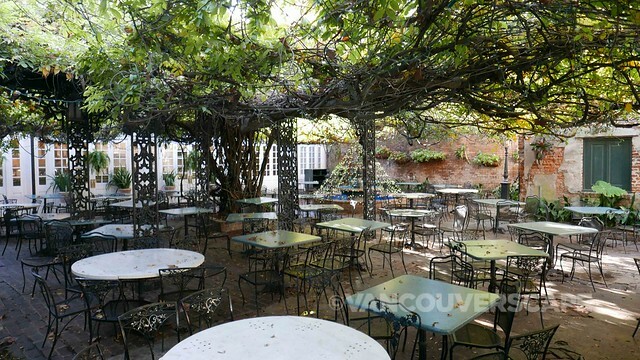 On warm days, a beautiful courtyard opens for an even lovelier experience. 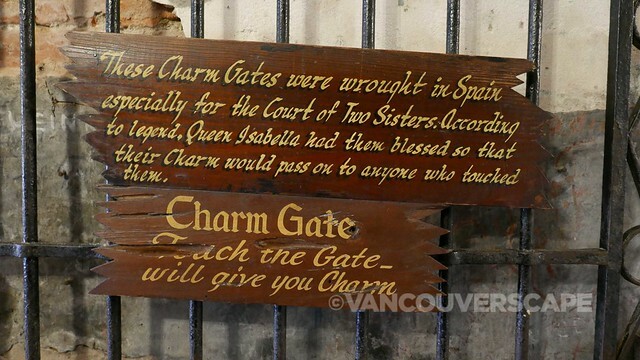 Make sure you touch the Charm Gates on the way out. The gate was created in Spain exclusively for the sisters; according to legend, Queen Isabella of Spain blessed the gates to pass along the charm to anyone that touched them. 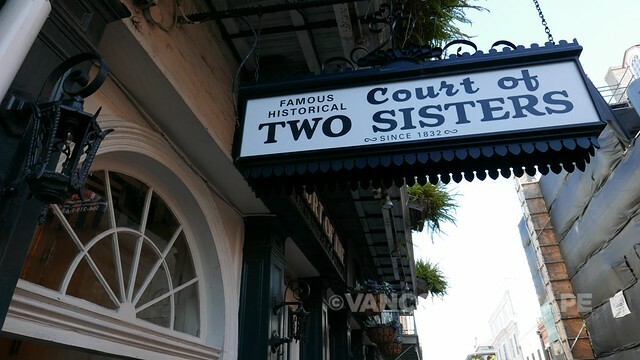 Court of Two Sisters is located at 613 Royal Street and is open for daily Jazz brunch from 9 am 3 pm (and for nightly dinner from 5:30 to 10 pm). 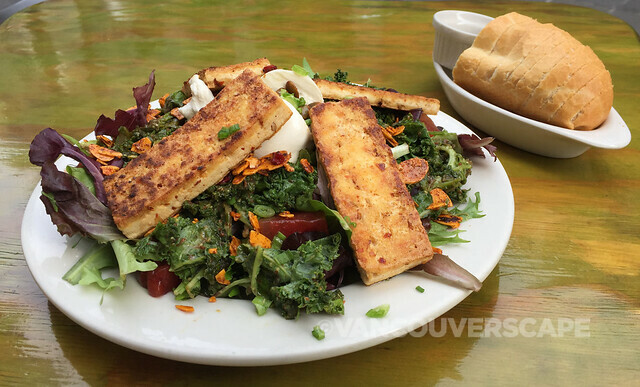 For vegans, it’s Green Goddess, located in cute little Exchange Place alley (at #307). This compact restaurant serves up some lovely salads and sandwiches, perfect for a midday refueling in the French Quarter. Since 2000, uber-popular Herbsaint, part of the Link Restaurant Group fronted by James Beard Award-winning Chef Donald Link, draws a dedicated local fan base who appreciate Link’s contemporary, farm-to-table French-Southern cuisine. There’s a well-curated wine list with craft cocktails and beer to round out this historic St. Charles Avenue eatery. Cochon, Cochon Butcher, Calcasieu, Peche Seafood Grill and La Boulangerie are Link’s other establishments (Herbsaint is the group‘s flagship eatery). 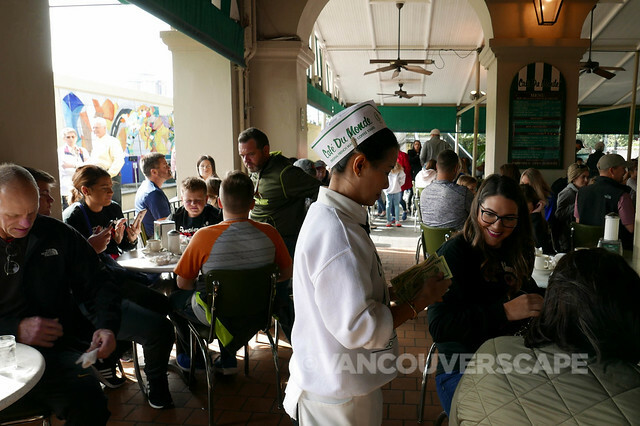 Get an early start to the day at Cafe Du Monde, a NOLA institution. 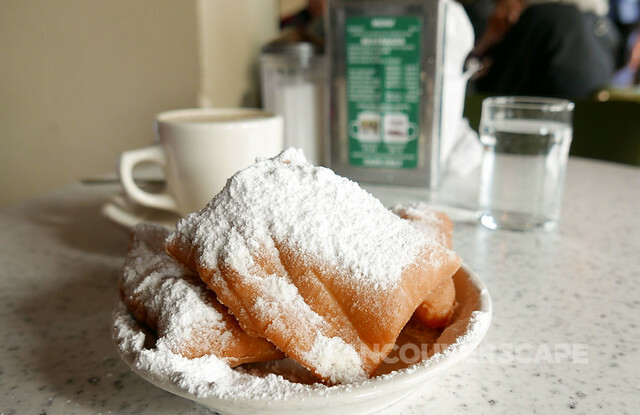 If you’re lucky, you can get a table (indoors or out on the enclosed patio) and order a portion of three apple beignets and a cup of cafe au lait, coffee or hot chocolate. There’s frozen cafe au lait available for those steamy summer NOLA days too. These are the real deal, topped with a good dose of powdered sugar and served nice and warm. 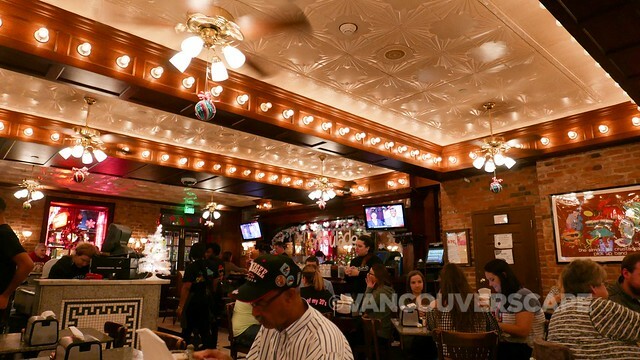 There are four locations around the city; the Decatur Street cafe, right at the French Market, is the original. For simple, down-home, honest cooking, check out Café Reconcile at 1631 Oretha Castle Haley Blvd., just up the street from the Southern Food and Beverage Museum. Reconcile addresses generational poverty, violence and neglect in the New Orleans area, offering a life skills and job training program to help at-risk young people (ages 16–24) make a positive change in their lives. Remoulade is a family-friendly cafe at 309 Bourbon Street, where you’ll find NOLA classics such as po’boys, jambalaya, red beans and rice, fresh oysters plus Chef Arnaud’s signature shrimp remoulade. At Remoulade, I got my New Orleans dining fix off to a good start with an order of Louisiana oysters on the half shell and a couple of tasty crawfish pies. 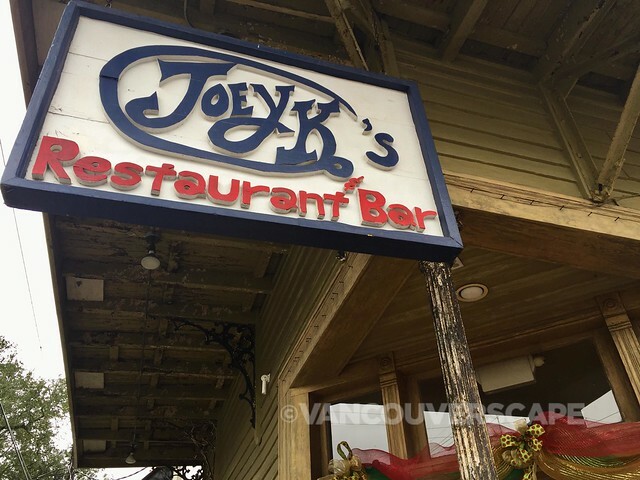 Over on 3001 Magazine Street, Joey K’s is a cozy family joint that’s been featured on Food Network’s Diners, Drive-Ins and Dives. The rustic, wood-panelled interior contains colourful message-driven artwork by local folk artist Simon Hardeveld. 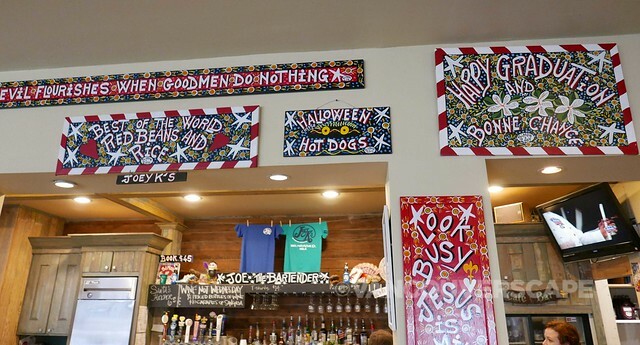 There are daily specials alongside New Orleans specialties and comfort food staples. 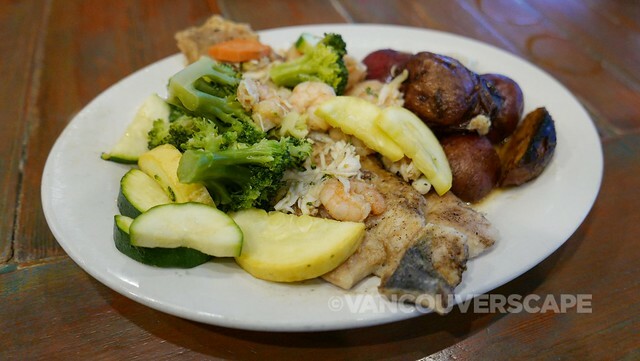 I enjoyed a dish of grilled Trout Tchoupitoulas, topped with crabmeat and shrimp with new potatoes and mixed grilled veggies on the side. Dee-lish. 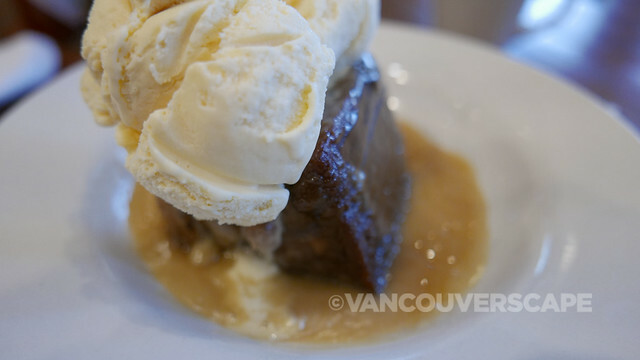 I also saved room for their bread pudding with rum sauce (and a scoop of vanilla ice cream for an extra dose of decadence). Now I haven’t had the chance to sample much of this local treat, but Joey K’s seems to have a pretty addictive version going. 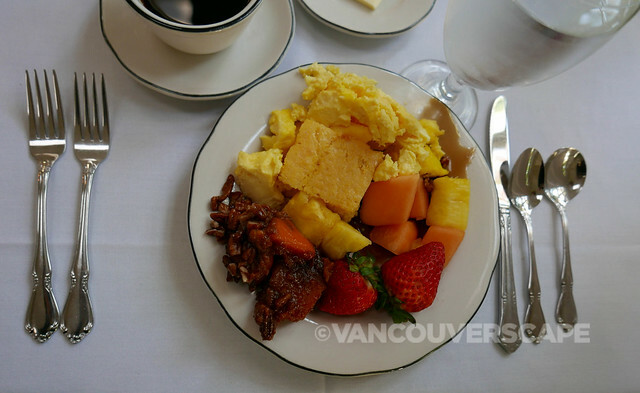 Aside from the the bread pudding, they’ve got seasonal fruit cobbler and a brownie dessert to choose from. A great selection of local beer on tap, bottles and cans joins a rotating seasonal brew. 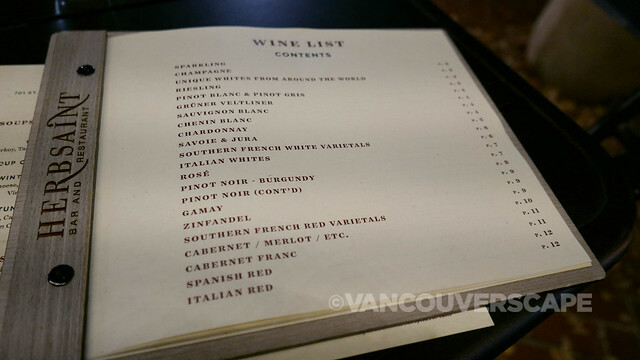 Speciality drinks, a compact, international wine list plus sangrias, mimosas and soft drinks round out the drink choices here. 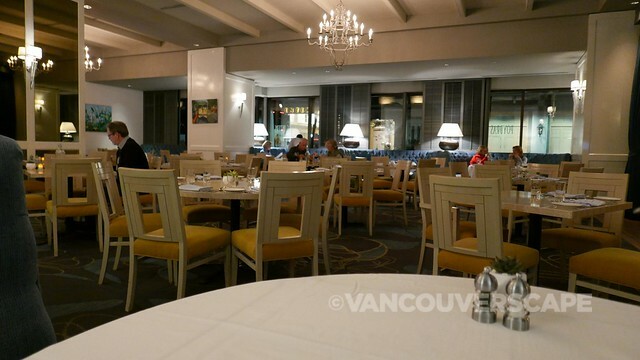 Peters & Poydras recently opened inside Loews Hotel New Orleans, featuring American, Italian and Vietnamese dishes. The room is beautifully set with linen-covered tables and upholstered blue booths, ideal for a cozy night off manic Bourbon Street. At “Happier Hour”, the bar offers Buffalo blue cheese potato chips, spicy edamame, Wagyu beef hot dogs, sticky ribs and other delectable pre-dinner bites. Cocktail classics and speciality craft selections, spirits, sparkling, white, red and dessert wines plus local, domestic and imported beers are all available here. Chef de Cuisine Tommy Hines and Sous Chef Winston Blewster work with several local producers and farmers, from Covey-Rise Farms to Piccola Gelato. The restaurant is named after its location at the intersection of S. Peter and Poydras Streets. 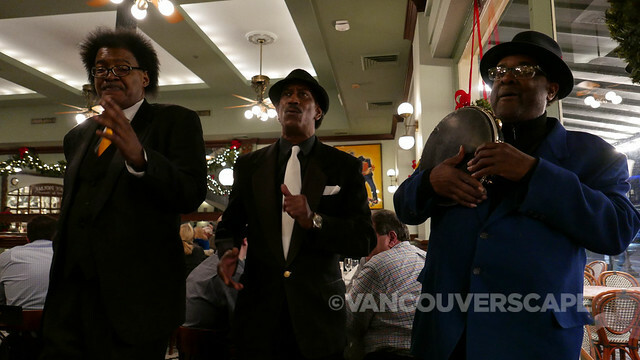 Brennan’s Restaurant has been part of the the New Orleans culinary landscape since 1946, with Chef Slade Rushing overseeing the Creole dishes served here. I dined here on my last night in town to top off a week of exploring the Big Easy. Old World elegance is evident throughout the main dining room and upstairs private dining rooms, as I was lucky enough to have been brought up to visit some of the gorgeous venues for celebrating special events. Brennan’s originally opened in 1946 on Bourbon Street as Owen Brennan’s Vieux Carré (run by a spirited Irishman determined to open an haute French restaurant) and moved to its current Royal Street location in the mid 1950’s, a historic building constructed by Edgar Degas’ great-grandfather. Executive Chef Rushing has curated a Creole-focused menu with a well-rounded wine, cocktail, beer and spirits selection. 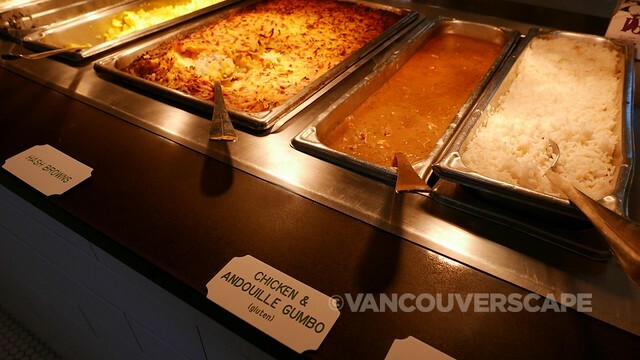 Starters range from turtle soup and New Orleans BBQ lobster to seafood filé gumbo (Gulf shrimp, oysters, andouille sausage, basmati rice). My starter? A roasted Acorn squash and Tuscan kale salad with Mississippi shiitake mushrooms in a pomegranate vinaigrette. 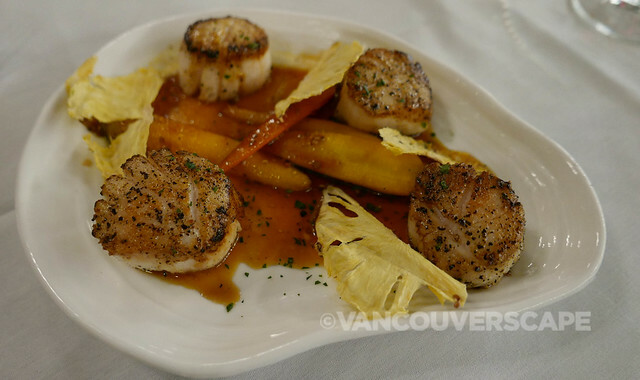 Entrées include venison, duck, shrimp Creole kimchi, Prime NY steak, seared scallops and Gulf Fish Amandine. The latter, a New Orleans classic, is served with Marcona almonds, haricot verts and diced potatoes all in an aromatic preserved lemon butter sauce. Brennan’s is located at 417 Royal Street in the heart of the French Quarter. If you’re travelling to the USA from Canada, consider a data plan from our friends at Roam Mobility. Whenever we’re south of the border, we ditch our carrier’s high fees and make use of Roam’s talk, text and data plans to help navigate roads, book an Uber or Lyft, keep in touch with family and stay on top of emails. Visit Roam Mobility online for more info.